The other week I was lucky enough to be given a lesson in how to handle Japanese swords safely. Having worked for many years in museums, I have a very broad experience in handling a wide variety of objects, from tiny Mesolithic microliths to large sculptures weighing several tons. A variety of pieces of equipment are required to handle such artefacts safely – with both the safety of the object, and your own personal safety as the object’s handler, each being equally important. In some cases, where the object is particularly fragile it’s important to handle the object correctly so as to ensure your handling of it doesn’t hasten the artefact’s deterioration – this may simply be by wearing gloves so that unseen oils and moisture from your hands do not transfer onto the object’s surface, or wearing a face mask so that moisture from your breath doesn’t land on, say, a delicate painted surface if you need to examine the item up close. Or it may be the need to wear steel toe-capped footwear if you are moving a large stone sculpture – not all objects travel in the same orientation in which they are displayed, consequently you may also need to know how to operate heavy lifting gear, or be qualified to drive a forklift as well. The general rule for working with objects in museums is that all objects should be treated with due care and respect, and no such job of work can be rushed. Forethought, planning, preparation, and awareness should always be the rule. Another rule which I believe always remains true (and this is something I take care to stress when I’m giving object handling instruction courses), is that no matter how long you’ve worked in a museum environment, nor however familiar you are with a particular collection of objects, even if you work with such objects on a daily basis – you never know it all. You should always expect the unexpected! Each object is unique, and not least in the sense that each artefact has its own particular weaknesses, damage repairs, or dormant corrosion areas (which may reactivate), which may be invisible or may well have changed since you last handled that very same object. Take nothing for granted. Working in a museum is very much like Heraclitus’s river – it’s never the same. Whenever you pick up an artefact you should do so with the same care and attention as though it were the very first time you were picking it up (and, by-the-by, if you ever go for a job interview for a museum technician’s post, this is probably the key point which the interviewers will most want to see demonstrated that you clearly understand!). This, though, is also one of the joys of working in a museum – there’s always something new to learn ... Hence why I was being shown how to handle Japanese swords. There are several key considerations to bear in mind when handling this kind of object. They are real marvels of the metallurgical arts. It’s often hard to credit that they are of such antiquity when they often look so new and modern; not simply because their shape seems modern, but rather because the quality of the metal seems so sleek and pure. It is a testament to how well they have been cared for through the centuries, having been passed down from one generation to the next. The two particular swords which we used to learn the basic procedures each dated from the 15th Century. They are both wakizashi (脇差) – a side or companion sword, the shorter of a pair (daishō 大小) worn by samurai, and each are stored in plain wooden ‘sleeping scabbards.’ The scabbards naturally enough are formed of two parts, a long section for the blade and a short section for the blade’s tang (the fittings for the sword having been dismantled and stored separately). The two pieces form quite a snug fit and it can be quite a challenging task to ease them apart. Needless to say, the first time you attempt this it is hard not to be a bit wary as you are all too aware of the extreme sharpness of the blade concealed within. It’s best to inspect the scabbard first to ensure it hasn’t cracked or split at all. Like all museum objects, they need to be kept in a stable environment which maintains temperature and humidity. With your hand placed firmly around the back or top (blunt) edge side, you should draw the sword handle out with your other hand, and then ease the blade covering portion away. The tang is fixed into the handle portion of the scabbard with a wooden peg (mekugi目釘) that passes through a small hole in both the wood and the metal tang (mekugi ana 目釘穴). You push this peg out using a wooden punch, yet the tang often remains tightly settled within its housing, so you need to deftly ‘knock’ it out. Again this is quite a daunting task for the first-timer, because the correct way to do this is to hold the sword upright in front of you (with the sharp edge facing away), holding your arm straight and slightly away from your body, you then have to thump the top of the hand holding the sword with the underside of your free hand made into a fist – this has the affect of ‘popping’ the sword from the tang housing (the weight of the blade keeps it from jumping clear of the wood!). This does get easier (and less daunting) with practice, but as the blades can settle into and become stuck in the wood, particularly if they’ve been stored in their sleeping scabbards for quite some time, you may well end up with a fair few self-inflicted bruises on the point where your hand meets your wrist as you repeatedly thump away harder and harder! The blades themselves are periodically polished and cared for with oil. Before putting them on display they are usually cleaned, a light dusting of uchiko(打ち粉) powder can be applied and wiped off with a soft cloth. 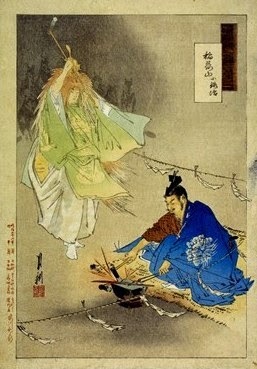 There is a set technique for doing this – first you draw the cloth from the centre of the blade to the tip, and then from the centre to the tang. This is primarily so that you do not transfer any possible rust which might be present on the tang to the blade itself. This respect for care and cleanliness is key. As a practical ethos we would do well to echo this mindfulness in our approach to the curatorial aspects of handling and storing ancient artefacts. The two swords we were practicing with were, as I’ve said, each made in the 15th Century, during the Muromachi period (1392-1573). They are both pictured and described in detail in Victor Harris’s catalogue (No.s 2 & 3). The first dates to around 1400-1428, from Bizen Province (present day south-eastern Okayama Prefecture), and is signed by the swordsmith, Yasumitsu of Osafune village. The second is a little later. 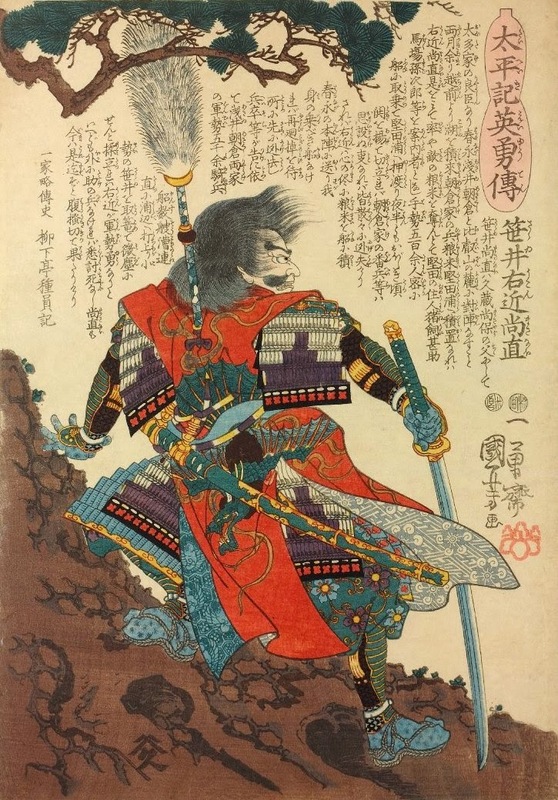 It is signed and dated by the swordsmith, Norimitsu, also from Osafune, in 1449. It was also subsequently modified, having been shortened possibly to fit a second owner who was perhaps shorter in physical stature than its first. 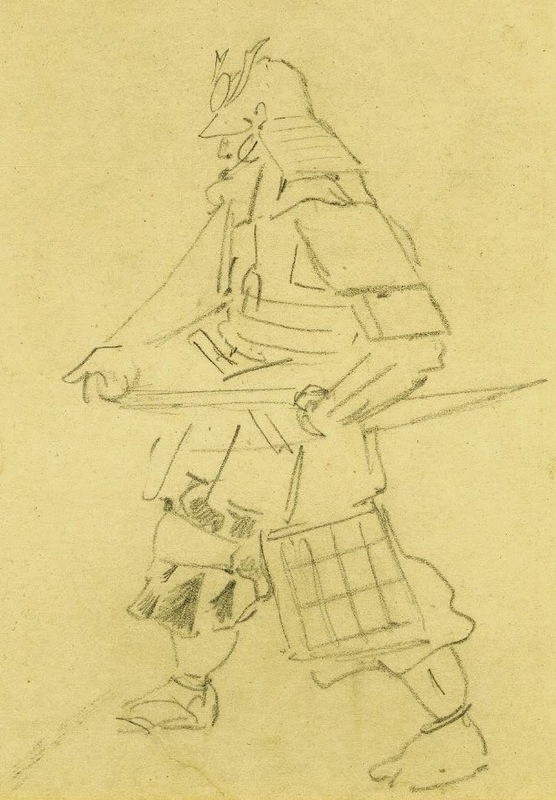 These wakizashi were worn at all times, both indoors and outside, whereas their longer companion swords, or katana (刀), would only have been carried when out of doors as a pair with the wakizashi. 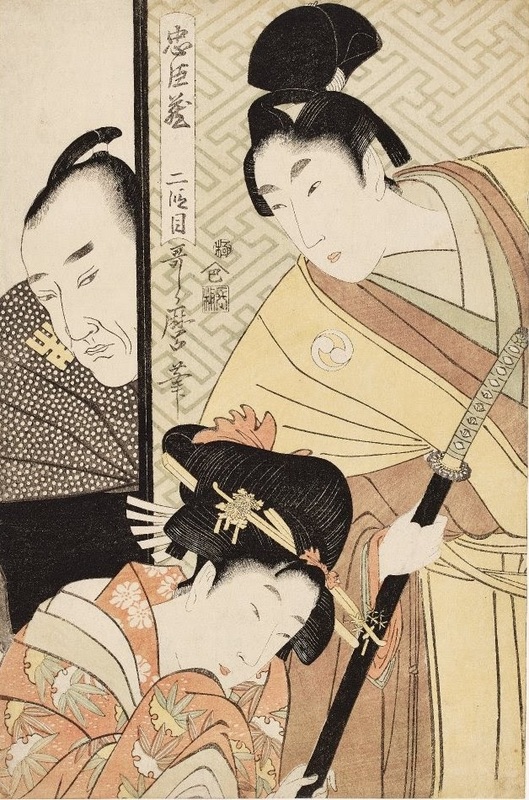 In appraising the quality of a particular sword’s craftsmanship there are many elements to look for, the most notable perhaps being the grain and the hamon (波紋), or ‘the badge of the blade’ – the crystalline pattern formed along the hardened edge of the blade (often seen as an undulating, smoky burnish along the blade’s cutting edge), which is a result of the technique by which the blade is heated until it is red hot and then quenched by plunging into a bath of cold water. 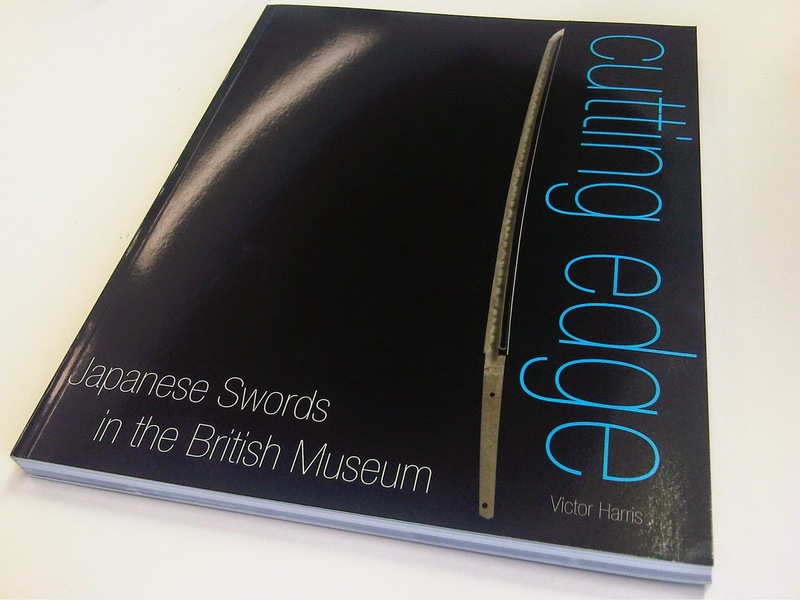 There is a detailed lexicon of terms used to describe all the many aspects and variations which characterise Japanese sword typologies and manufacture techniques, to fully understand all the intricacies would require a lifetime of dedication and study, and indeed many of the traditions of sword-making are still practiced and passed on across Japan to this day by the descendents of the same families who created these swords in the 15th Century (click on the images of each sword above to read more about them).